More details of former Congressman Anthony Weiner’s disturbing sexting relationship with a 15-year-old girl have emerged, and they are, frankly, horrifying. “With full knowledge that he was communicating with a real 15-year-old girl, [Weiner] asked her to engage in sexually explicit conduct via Skype and Snapchat, where her body was on display, and where she was asked to sexually perform for him,” wrote Assistant U.S. Attorney Amanda Kramer. On March 9, 2016, Weiner persuaded the girl to strip and touch herself over Skype, and she complied, according to prosecutors. Weiner engaged in an online relationship with the teen last January, after she contacted him via Twitter. The girl came forward with allegations against Weiner in a September interview with the Daily Mail, prompting an FBI investigation into the incident. During the investigation, officials found emails between Hillary Clinton and Weiner’s wife, Clinton aide Huma Abedin, prompting them to re-open the investigation into Clinton’s email server days before the election. Weiner pled guilty for sexting the teen and is awaiting sentencing. Weiner’s sentencing will be announced on Monday. 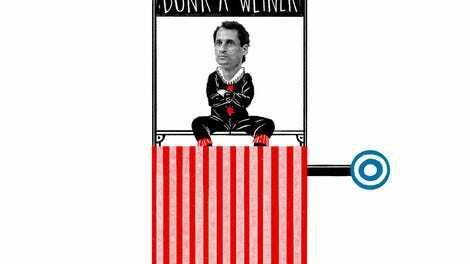 What Should We Do About Anthony Weiner?